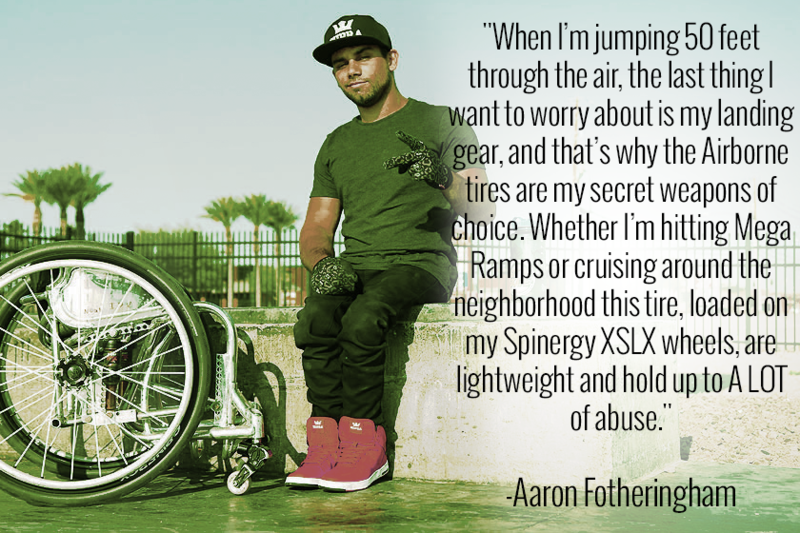 The tire made for WCMX. A collaberative design with Aaron Fotheringham and Schwalbe. 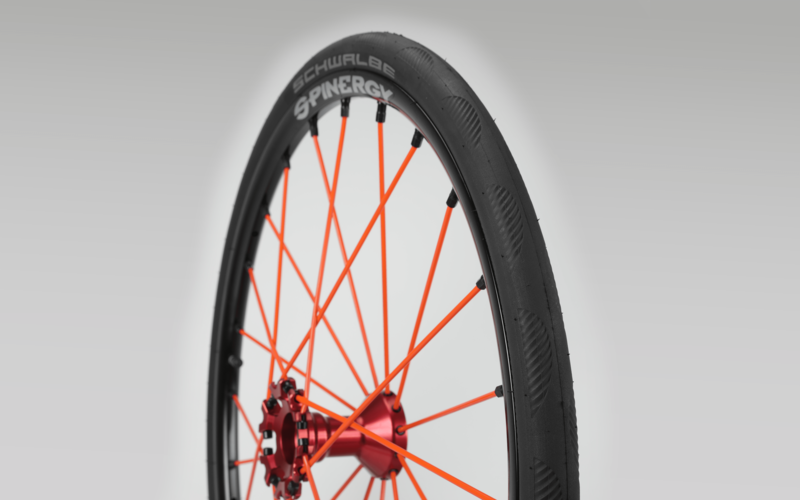 Mount these on a set of XSLX Spinergy wheels, and you have the best set up for the skate park, street action and anywhere comfort and durability are important even if that's just getting to work. and that’s why the Airborne tires are my secret weapons of choice. 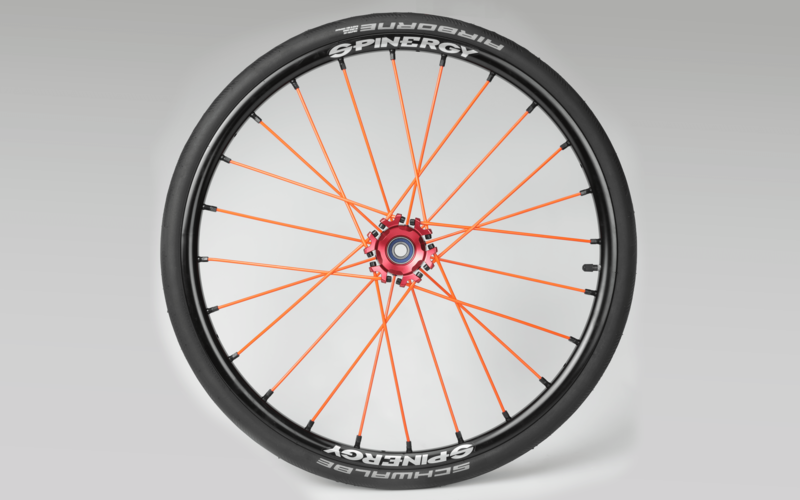 Whether I’m hitting Mega Ramps or cruising around the neighborhood this tire, loaded on my Spinergy XSLX wheels, are lightweight and hold up to A LOT of abuse." Schwalbe made the Airborne 30mm wide for supreme performance and comfort under extreme conditions. A wider tire has more volume and therefore more cushion on impacts. Your can ride a lower air pressure with the wider profile (55-85 psi) makng them behave like shock absobers. 30mm wide, "Black'n Roll" compound and V-guard come together in this nice low weight rolling package.